After Michael Brown was shot and killed by police in 2014 in Ferguson, Mo., the slogan “Hands up, don’t shoot” became a rallying cry for the Black Lives Matter Movement. 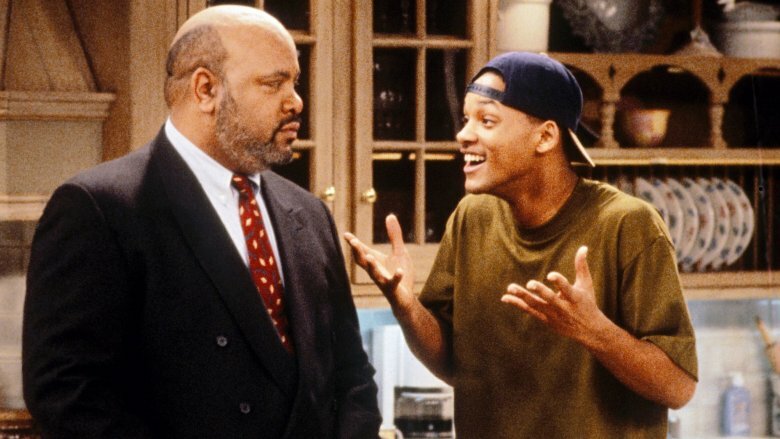 According to CNN, “protesters, pro athletes, Broadway performers and congressional staffers have used the gesture in public in a show of solidarity.” Consequently, adults watching the Fresh Prince episode titled “Cased Up” will see something much different than they did as kids. In the 1991 episode, Jazz and Will are in court, and Jazz is called to the stand because he witnessed Will wreck his new car. When the bailiff tries to swear him in, Jazz refuses to lower his hands from the surrender position. Jazz quips: “No way, dude’s got a gun. Next thing you know, I got six warning shots in my back.” The audience cackles, but Jazz’s joke carries far more political weight today, and it’s also worth reexamining its implications back then. Months before “Cased Up” aired, the Rodney King incident had elevated tensions between police and the black community. As noted by Elite Daily, that scene in the sitcom likely intended to connect to the King controversy. While some kids may have picked on that link at the time, we’d argue that few would miss the message today, considering the tragic string of controversial cases involving police and minorities that have made headlines in recent years. The sad fact that this “joke” still makes sense nearly 30 years later adds even more to its impact.